Well we had a very magical visitor here in Mainguard Street! RUDOLF stopped by for a break on his training route!!! 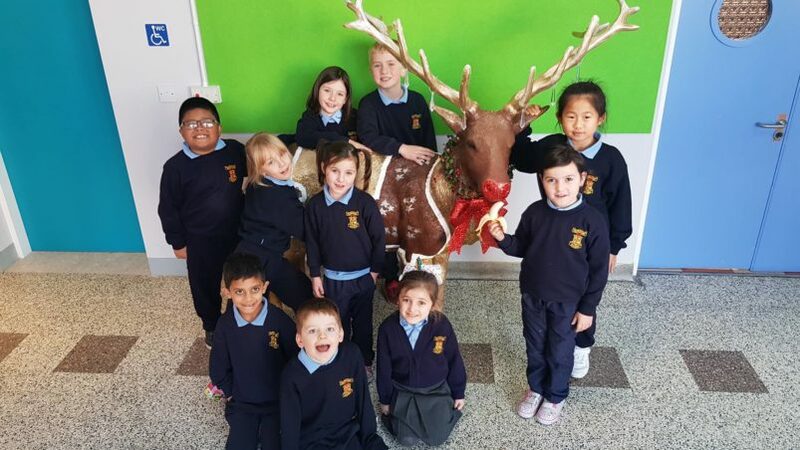 This fabulous Reindeer was beautifully painted & decorated by students & teachers in St Pat’s Galway over the last 2 week’s! 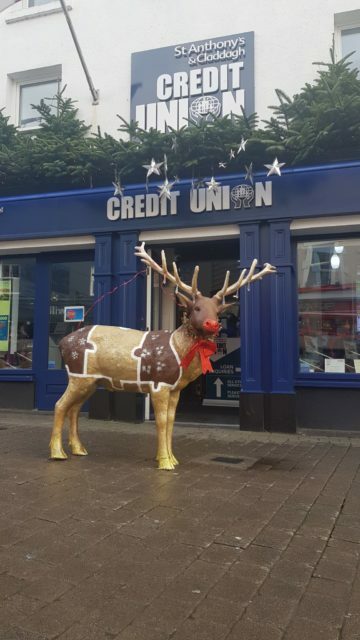 He has now taken his pride of place in Eyre Square with his other Reindeer friends for all to see.